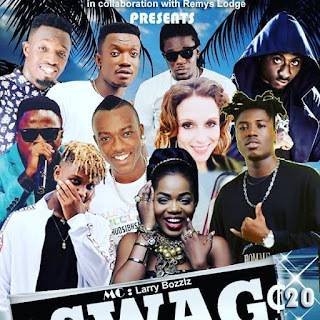 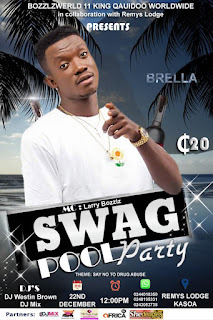 Home / Entertainment News / Larry Bozzlz assembles almost all the top Ghanaian musicians for the maiden edition of his ‘Swag Pool Party. 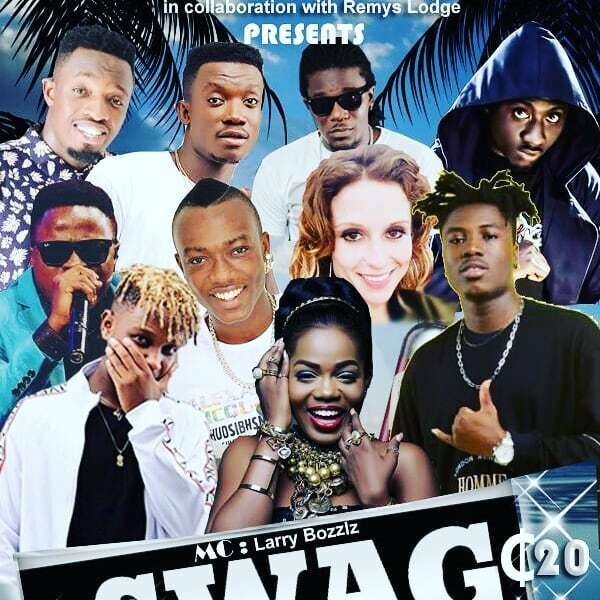 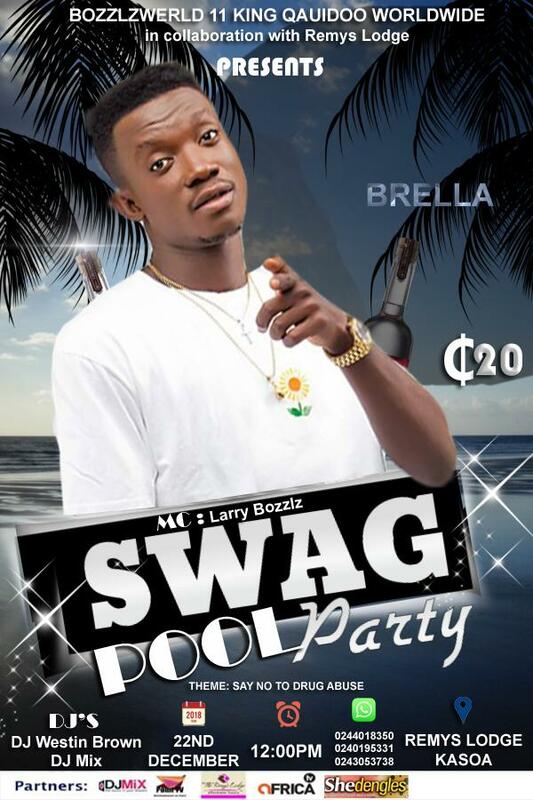 Larry Bozzlz assembles almost all the top Ghanaian musicians for the maiden edition of his ‘Swag Pool Party. 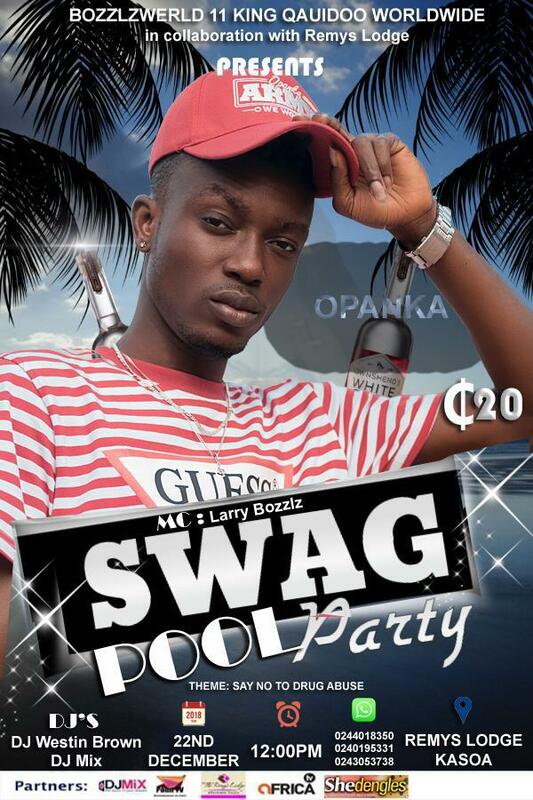 December is a month of enjoyment and merry making,the host of Video Ryde on tv Africa is set to host the maiden edition of Swag Pool party for the people kasoa this Christmas. 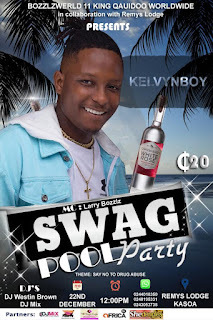 The event is Scheduled to take place on December 22nd 2018 at Remy’s Lodge kasoa, the event will see performances from the bhinnation prince Kelvyn Boy, DannyBeatz, Mzbel,Opanka,Brella and many more. 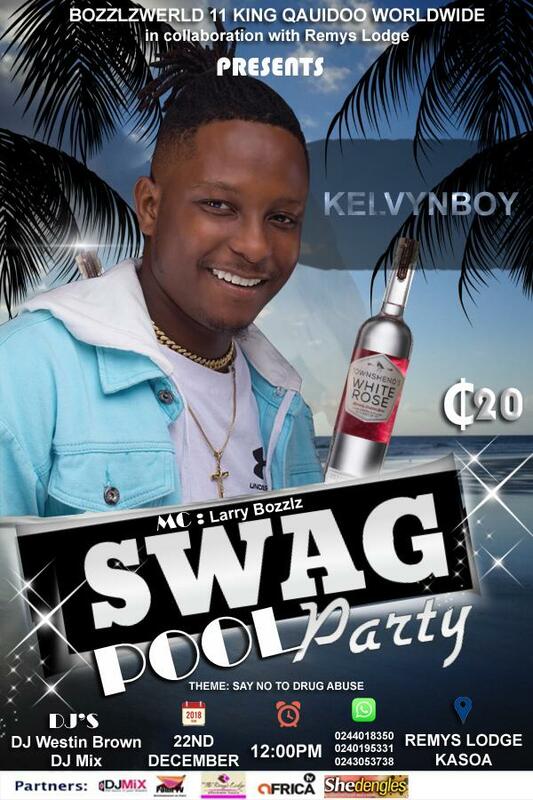 Bozzlzwerld 11 king quaidoo in collaboration with Remy’s Lodge, disclosed that the event is focused on saying no drug abuse and a night of partying with djs such as Dj Westbrown and Dj Mix. 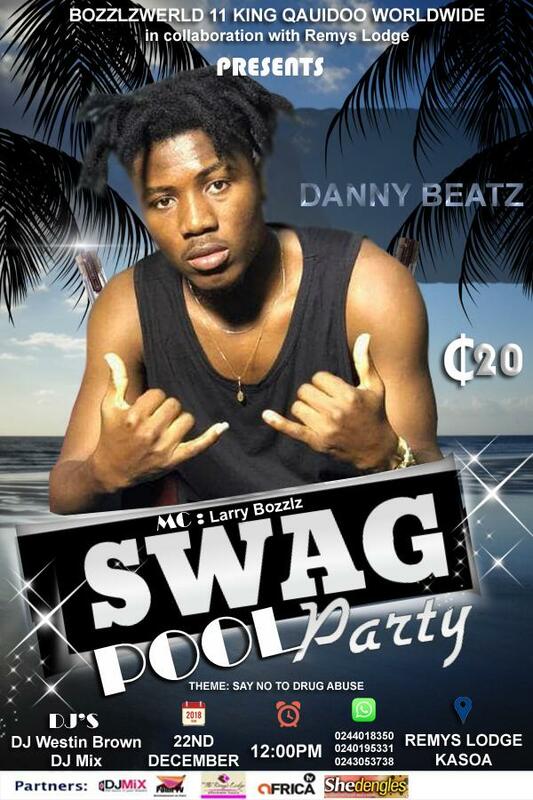 The rate of the event is 20gh.